Our diving is diverse, with ledges, mini-walls, white holes teeming with fish, caves and drift diving in some area. Most reefs on the Atlantic side and offshore on the Caribbean side are pristine, with monster-sized sea fans and sponges growing over piles of lava rocks. Regularly visited reef and wreck sites are on the sheltered Caribbean side of the islands and in the cut (“The Narrows”) between Nevis and St. Kitts, but trips to the Atlantic where the mysterious white holes lie and large pelagic are encountered may be arranged when seas are calm. St. Kitts offers the most dive sites, with wrecks and alternate sheltered areas on the Caribbean side when the seas are rough on the Atlantic side or in The Narrows. Nevis dive sites are more vulnerable to swells when the winds are high, even on its Caribbean side, but currents are usually light and sites are spectacular. Average visibility is 80 to 100 feet, with exceptional water clarity at the cut and offshore Caribbean and Atlantic reefs. Water temperature is 80-85 degrees year-round. Depths for scuba range from 30 to 90 feet, averaging 50 feet. 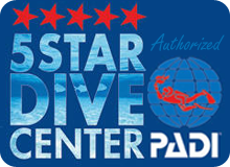 Certification, referrals and resort course with PADI and NAUI instructors are offered. The average boat trip to a dive site takes 15 minutes.